How much return do you expect for your spiritual effort? How many people would you have to save in order to start a movement? How many lives do you have to impact before you feel successful? How do you measure your spiritual value? When you look at investing money, with a financial advisor, it’s pretty common for them to try to establish your risk tolerance. From that information, they estimate what your return will be annually, based on your ability to handle risk. If you have a low tolerance for risk and just want your money to grow slowly over time you can probably get 5% returns, meaning if you put in $100 dollars, at the end of the year, you would have $105. If you have a very high risk tolerance, they may estimate your returns at 20%. This would mean that if you put in $100 dollars at the end of the year you could have $120. But of course there is a downside to risk. Putting your money at risk for 20% gains means that you could lose 20%. So now at the end of the year you may end up with only $80 dollars left. What is your spiritual risk tolerance? How far out there are you willing to put yourself? How many lives do you need to touch to feel your effort is worth it? How many people do you need to save to make it worth trying? I often ask this question when I am writing my blog. How many people do I need on my subscription list to consider myself a success? How many likes on facebook? How many hearts on instagram? What are my metrics? Why am I even talking about metrics? This is spirit. This is free. We aren’t given 100 units of spirit when we’re born. 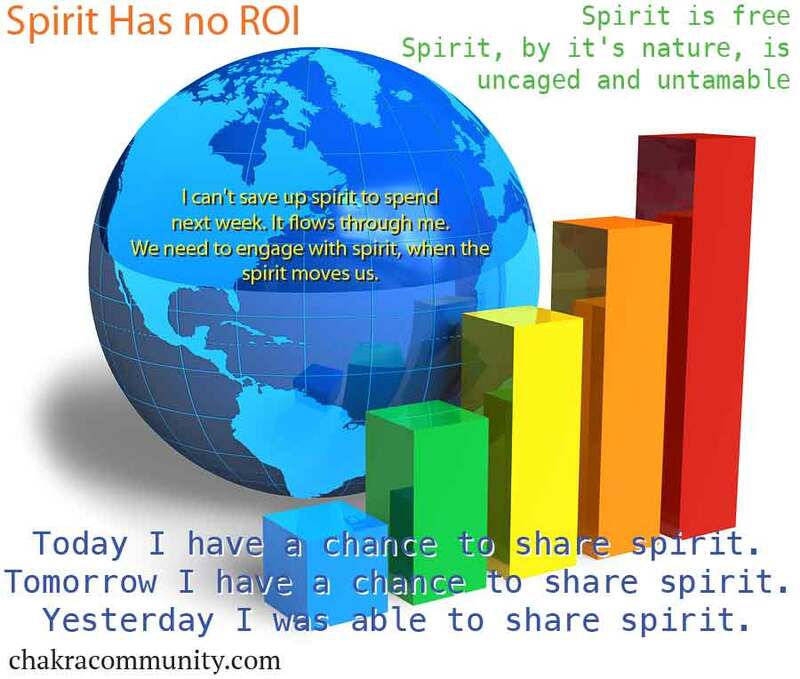 We don’t need to invest wisely with spirit. Spirit, by it’s nature, is uncaged and untamable. I can’t save up spirit to spend next week. It flows through me. We need to engage with spirit, when the spirit moves us. Today I have a chance to share spirit. Tomorrow I have a chance to share spirit. Yesterday I was able to share spirit. Our world is hung up on metrics and statistics. We want to see numbers and understand the impact. We seek efficiencies and insights. There is no need in the world of spirit. Additionally the world of spirit ripples out in ways we cannot possibly imagine. The story you tell today, the person you helped yesterday, the song you sang to yourself in the elevator; These are all energy waves rippling out, impacting the world in ways beyond you reckoning. Today I send out my message as an offering. I am enough. You are enough. We are mighty. If I reach 1000 people with this message I am blessed. If I reach 0 people with this message I am blessed. To simply be here today with you, I am blessed.